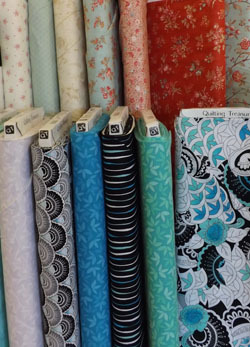 Predictions are that we'll be getting some much-needed rain this Saturday (March 1), but don't let that stop you from joining the fun at our BERNINA Open House! ~ Two special “Ask the Tech” sessions. At 11 a.m. and 1 p.m. our certified sewing machine technician will share tips and tricks on keeping your machine in tip-top shape at home and answer questions about sewing machine maintenance. Buy any model BERNINA sewing machine on March 1st and receive a FREE Cortez Quilt Company Class Club Membership — FREE classes for one full year — a $225 value! 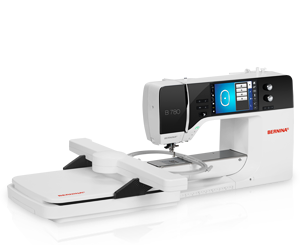 Ask us about no interest financing on BERNINA sewing machines! 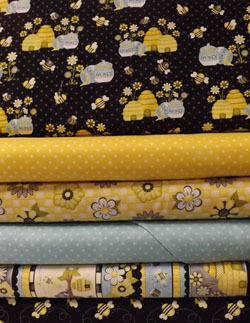 This darling collection of Honey Bee fabric arrived recently. Too cute! 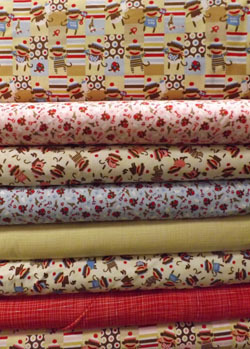 Depending on which fabrics you used, this would make a great quilt for a little girl or boy. 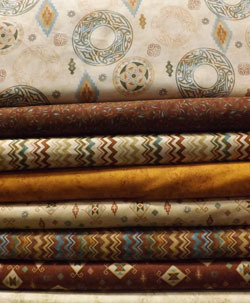 This new southwest collection is very different from any we've ever had. 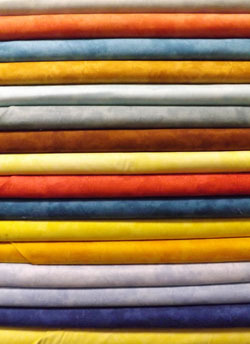 The soft colors would make up nicely in a quilt or tote bag. Oh, and imagine pillowcases out of this! Working with the bright new collection will make you feel like spring has already arrived. Another new collection for the little ones. We ordered enough of this soft flannel so that, again, depending on which fabrics you select would make a cuddly quilt for a baby girl or boy. We can't wait to make up a raggy shaggy sample from this group! These are two other collections that came in recently. 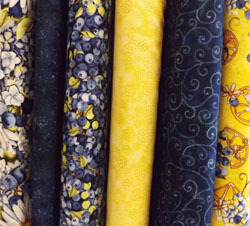 One soft from MODA (we have jelly rolls to go this with one) and the other nice and bright from Quilting Treasures. This is part of a new basics collection from Northcott that we're loving. It's called Toscana and it's great to work with. This stack arrived yesterday. We're getting this basic in all 95 colors and will be able to re-order as needed. Bring your special T-shirts (NOT cut up yet!) 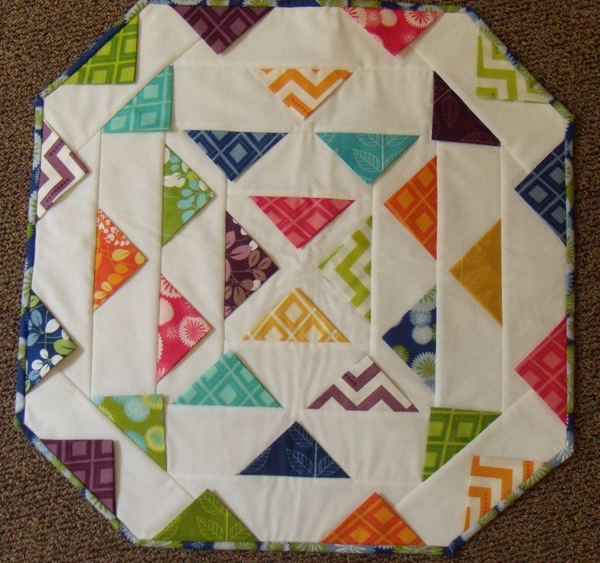 to this class where you’ll design and begin to assemble a memorable quilt. These make great graduation gifts! Cyndi Foote will teach this class. The book is optional but recommended. 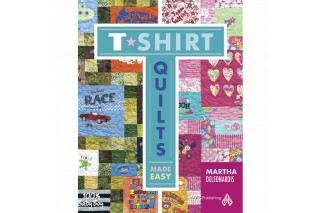 It has some great layout ideas in it as well as many tips on making T-shirt quilts. 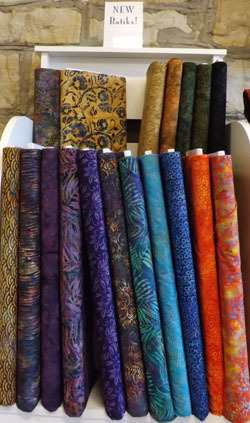 We've been on a a bit of a buying spree and have lots of new notions in the shop. Some of these include . . .
Bendable Bright Light - attach to your sewing machine and give your eyes a rest. Supreme Slider - makes free motion quilting more relaxing. Extra long tweezers by Collins. The new Midi Twister tool - it's between the original large one and the little one in size. 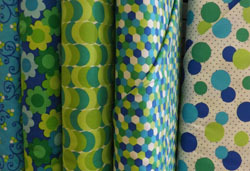 Perfect Circles in two size collections, by Karen Kay Buckley. Micron PIGMA pens in a package of six different colors. Clover Patchwork Pins (these are Beth's favorites!). Gutterman hand quilting thread in 50 colors! A note about Frixion pens . . . we love these pens and use them in the shop all the time, but have a small warning to share. Two customers have used these pens in a non-temporary way (i.e., marked on and left fabric for several days before finishing a project) and found that when they ironed away the pen marks a faint white line was left behind. In one case this was on red fabric and in one case it was on a bright pink batik. We're recommending using Frixion while piecing when you know you'll be ironing away the marks within the day.